A friend of mine, Mick Stone, is about to take his Anti-Magic Show on the road. Now, Mick's show, billed as "the magic show for magic haters", works quite well for magic lovers, too. After attending one of Mick's performances last fall, I found my fascination for stage magic revived. How delightful it was - for a brief time - to suspend disbelief and imagine that things happen in the world that defy explanation. Suspension of disbelief and willingness to rely on supernatural explanations, a fun way to spend the evening with friends, turns out, though, to be a very bad way to go about doing science. Magic had largely been banished from contemporary scientific discussions until 1989 and the attempt to insert of the doctrine of Intelligent Design (ID) into the biology curriculum in this country. The defining contention of ID is that there exist features of living organisms that are so complex that they can not be explained as the result of the processes of undirected evolution by natural selection. 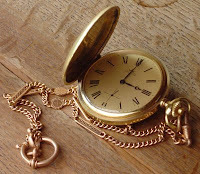 According to ID, these extraordinary biological artifacts are deemed to be irreducibly complex and are, therefore, evidence of the hand of a transcendent designer, the ticking proof of a supernatural watchmaker. For most scientists - and many supporters of science - the controversy stoked by ID is a political one, and, for them, ID is not much more than a stalking horse for so-called creation science and its determined program to return teaching of the creation myths of Genesis to high school biology classes. Although I believe this to be the case, I accept that there are proponents of Intelligent Design, whose agenda is not religious and whose intentions are sincere. These people, many of whom subscribe to the broad outlines of Darwinian evolution, are at a loss to see how it alone could account for certain biological phenomena. Instead, they turn to magic for their scientific salvation. Unfortunately for ID and these earnest seekers, the three premier examples of irreducible complexity, championed by ID advocate Michael Behe - the cascade of reactions that causes blood to coagulate, the elaborate structure of the eye, and the 40-part molecular engine that propels bacteria - have failed to remain inexplicable as advertised. 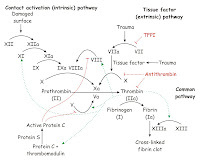 Much of the ID argument concerning the physical impossibility of the origin of the blood clotting pathway assumes that the multiplicity of chemical factors involved in coagulation had to come into existence all at once, an, admittedly, astronomically improbable event. Yet, not only does natural selection allow the mutations responsible for these clotting factors to accumulate over an extended period of time - a much more likely course of events - it also appears, contrary to ID assertions, that not all these clotting factors are essential for clotting to occur in all species. This is not to say that the evolutionary development of this complex process is completely understood, but a thorough understanding of it would seem to be reasonable possibility without having to invoke a magical helper. Claims that the structure of the eye are too complex to be explained as a result of a natural processes stem from Darwin's admission that its evolution presented difficulties to his own theory. But much has been added to our understanding of the origins of the anatomical features of the eye in the last 150 years, enough so, that how its gross components originated is no longer a mystery. Behe contends that the lineage of the molecular mechanism of the eye's photo-receptor still defies explanation. This is an area of active research. It looks likely, though, that, supernatural intervention will not be needed to account for the origins of vision, either. The problem of the evolution of the flagellum, the whip-like propeller and intricate motor that allows bacteria to swim about, was long-considered the poster child of the Intelligent Design movement. 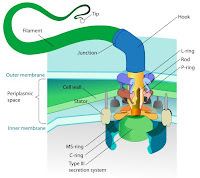 When ID came on the scene, the flagellum was presented as its foremost example of irreducible complexity. At the time, its evolutionary origins were, at best, vague. This is no longer the case. In the last half dozen years evidence has mounted that the flagellum - whose evolutionary construction ID insisted could only have been accomplished through supernatural meddling - had gotten its start as a sort of molecular syringe used to inject toxins into other cells. So much, then, for the ID claims of that such things are forever beyond our ability to explain as the results of long-term physical processes driven by natural selection. No magic is required. The poster child of Intelligent Design has become the prototypical example of why ID is, on its face, scientifically untenable. To underscore this point, let's consider my reaction to Mick's magic show, again. 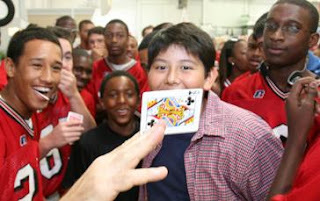 I admit to being amazed and baffled by his tricks. Honestly, I can't even begin to say how he does what he does. Yet, be that as it may, it never occurs to me that my inability to give an account of how Mick creates his illusions restricts anyone else from figuring them out. This is the the essential fallacy of Intelligent Design. Its adherents assert that the contemporary failure to produce a naturalistic explanation for the origin of a particular complex biological feature means categorically that no one will ever be able to do so. The limitations of our understanding and capabilities here and now, somehow become those of all investigators for all time to come. The fact of the matter is that some problems in science, in general, and in evolutionary biology, in particular, are formidable. Ironically, it is the very activity of dogged scientific inquiry that has led us to pose many of these difficult questions. 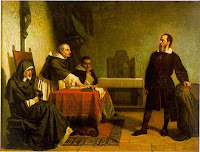 When, then, it must be asked, has the cause of science ever been advanced by insisting that hard-to-understand phenomena have to have a supernatural explanation? At best, such claims have been quickly discredited - as with the supposed irreducible complexity of the bacterial flagellum - at worst, such recourse to the supernatural has discouraged research and foreclosed avenues of investigation. So let's hear it for magic - of the Mick Stone variety. But let's repudiate the defeatist reliance on magical thinking advanced by doctrines such as Intelligent Design. It only serves to undermine our bold efforts to confront and solve the mysteries of the scientific world and it demeans us as the intellectually restless and ingenious species that we are. This is a great article. I enjoyed the reasoned approach. You do a great job with graphic to make it even better. Go Bro!! The Origin of Species has a chapter on the eye where Darwin uses the eye as an example of how something complex can evolve from natural selection. Pat, Thanks for your comment. He briefly surveys living crustaceans and concludes, "that there is much graduated diversity in [their] eyes ... and I can see no very great difficulty in believing that natural selection has converted the simple apparatus of an optic nerve coated with pigment and invested by a transparent membrane, into an optical instrument as perfect as is possessed by the great Articulate class." I'm not sure that this demonstrates how the eye evolved from natural selection, but it is Darwin's illustration that such a thing is not inconceivable, which I think was his objective in this chapter. 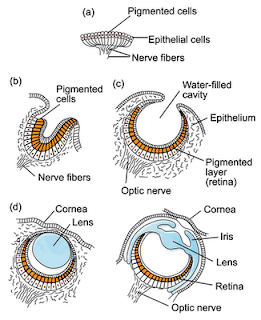 It is interesting to note that the pathways for evolution of the eye turned out to be different in vertebrate and invertebrate (e.g. crustacean) species, something unknown to Darwin, so his reliance on the eyes of living crustaceans, although persuasive, could hardly be conclusive with regard to living vertebrates. The reference in the post is not to demean Darwin, but to indicate how ID has come to focus on this issue. I will change the word "problems" to "difficulties" in the text to more accurately reflect Darwin's characterization of this challenge to his theory.